Every week, we try hard to bring you information and stories that will inspire you, inform you, and encourage you in the vital work you do. Whether you’re a caregiver, a home care aide, or someone who wants to live an active, independent life in San Diego, we want to support you. We do this by blogging on a wide range of topics in categories that we think are relevant, timely and useful. We know you love all our blogs, but we’ve looked back at 2016 and found the top four posts we wrote for you this year, based on your feedback. We’ve also identified the top link we shared with you that we didn’t write. As always, we appreciate your feedback, so we can improve what we do, and offer you the most value and support. If you have some ideas about what you’d like to see from us in 2017, connect with us on Facebook! Your number one ‘Caregivers 101’ blog post, from March, is Caregivers 101: March is National Nutrition Month. All our ‘Caregivers 101’ posts discuss the medical conditions, diseases and physical issues that seniors, caregivers and home care aides encounter. You can browse all the ‘Caregiver 101’ blogs in our archive on our website. Your number one ‘Seniors In The News’ story, from August, is Seniors In The News: Inspiring Women Shattering Expectations. All our ‘Seniors In The News’ posts share inspiring, amazing and even whimsical stories about seniors in California, America and the world. We invite you to check out all the other ‘Seniors In The News’ posts on our website. Your number one ‘Aging In San Diego’ blog post, from August, is Aging in San Diego: Cheap, Free-Ish Summer Fun In San Diego. One of the biggest benefits of living in our beautiful city is that it’s truly a vacation paradise. And you don’t need to be an out-of-town visitor to enjoy the sights, sounds, sun and sand – or all the other medical, social and lifestyle advantages. If you want to review what we found special about living in San Diego, take a look at our ‘Aging In San Diego’ archive. Your number one ‘Caregivers Cheat Sheet’ blog post, from June, is Caregiver Cheat Sheet: Kill ‘StandBy Power’ To Save On Your Power Bill. We all love cheat sheets – where someone else does all the reading, and just tells you what you need to know. This most-popular cheat sheet covers the top ways to reduce the amount of power you’re using at home without even knowing it. Want to read more of the up-to-the-minute and significant financial, lifestyle and personal information we shared this year? You’ll find all the ‘Caregivers Cheat Sheet’ posts we’ve done in our archive. 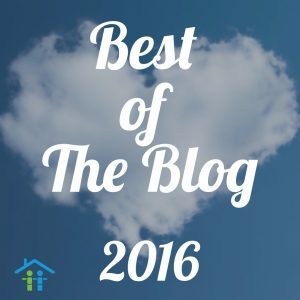 Your number one post this year? The most liked and shared article wasn’t from our blog, but from Fast Company, a popular magazine. It turns out that clutter isn’t just frustrating, it’s ruining your life! Read it again here, and enjoy! We hope you enjoyed this walk through the Casa Companion Homecare Solutions Blog archive. We appreciate your interest and attention, because we know there are so many demands on your time. We’re getting ready for another year of sharing great ideas, inspiring people, and helpful information with you in 2017! Happy New Year!